Sunrise to sunset, Geneseo has its own special beauty. See more of the campus and life at Geneseo on Instagram. We're excited to welcome our accepted Knights and their family members to campus this spring. If you're a first-year student or a family member who hasn't yet signed up to attend one of our Accepted Knights Days or hometown events, you can do so online. See you soon! 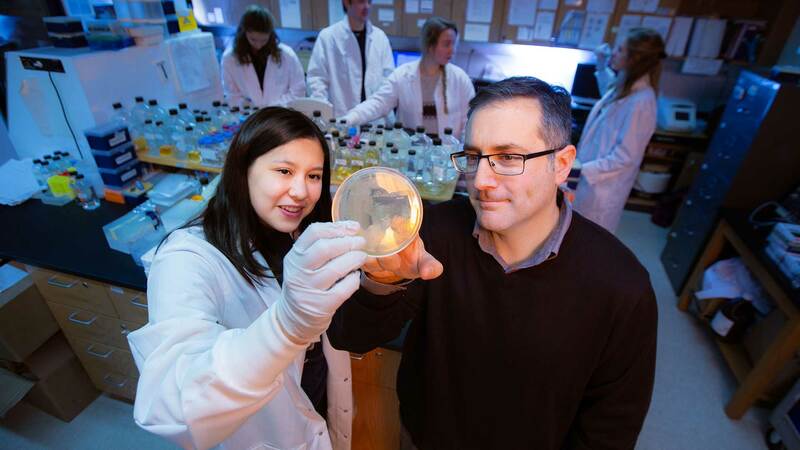 In a recent survey, 40% of graduating seniors undertook a research project at Geneseo, and 81% of Geneseo faculty reported having worked with undergraduates on research. Paleontologist Matthew Lamanna, Ph.D., the principal dinosaur researcher at Carnegie Museum of Natural History, will deliver the sixteenth annual American Rock Salt Lecture in Geology on Thursday, April 25 at 7:30 p.m. in Newton Hall Room 202. Lamanna’s talk, “The Origin of Modern Birds: New Cretaceous Fossil Discoveries from China and Antarctica,” is free and open to the public. 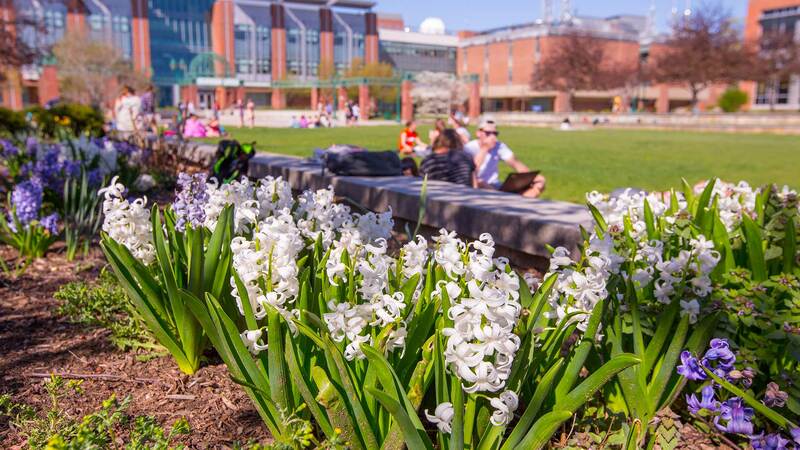 ​​​​​​​The College community will celebrate Earth Week, April 15–25, with speakers, a Garden Fest, demonstrations, campus clean-ups, art installations, and other activities highlighting worldwide environmental issues and ways individuals can make a difference. Catherine Shields '19 has won a U.S. State Department Critical Language Scholarship. The Grandview Heights, NY, native will spend the summer in Baku, Azerbaijan, at the Azerbaijani University of Languages for an intensive eight-week course of university-level Turkish. 7:00 PM in Newton 201. On Earth Day, alumnae Allison Hoppe ’11 returns to campus to deliver the Earth Week keynote lecture. Hoppe is a law clerk for the Environmental Protection Agency and will discuss sustainability, climate change, and governmental efforts to utilize green energy. Facebook event. Shows at 7:30 PM Tues. 4/23–Sat. 4/27 w/ matinee Sun. 4/28 at 2:00 PM. In Brodie Black Box Theatre. In this play by Hawaiian playwright Lee Cataluna, the first mayor of Hilo falls afoul of a local bully. Can his administrative assistant count on her cousin, head of the local syndicate, to save they mayor's life and her job? Buy tickets ($10). 1:00 PM in Newton 204. Ariel I. Ahram, associate professor at Virginia Tech and specialist on security, development, and ecological change in the Middle East and North Africa, will discuss separatist movements in Libya, Yemen, Syrian and Iraqi Kurdistan, and the Islamic State. Facebook event. 7:30 PM in Newton Hall Room 202. Paleontologist Matthew Lamanna, Ph.D., the principal dinosaur researcher at Carnegie Museum of Natural History, will deliver a talk entitled “The Origin of Modern Birds: New Cretaceous Fossil Discoveries from China and Antarctica.” It is free and open to the public. Facebook event. 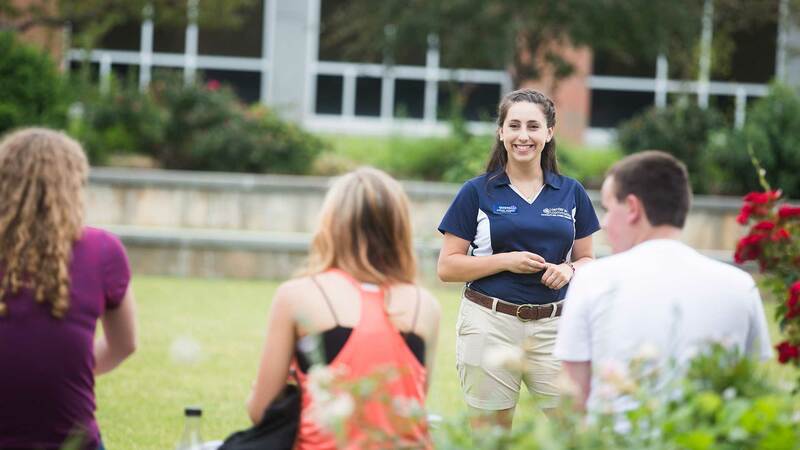 Geneseo alumna Janine Rossi ’18 and Kelsey Kwandrans ’19 have won 2019–20 U.S. Student Fulbright awards to Uruguay and Spain respectively. Rossi and Kwandrans become the 28th and 29th Geneseo student or alumni to win a U.S. Student Fulbright award. Tshering Sherpa ’21 has been named a Fund for Education Abroad (FEA) Scholar for 2019–20. She will travel to Cadiz, Spain, for six weeks to study Spanish at the Centro Superior de Lenguas Modernas (CSLM), a language school at the Universidad de Cádiz. As the Eddie Lee ’76 First Generation Ambassador, Pema Sherpa '19 spent the fall semester in her native Nepal, shadowing pediatric doctors to learn about medicine and the challenges of providing health care in underserved areas. She also collaborated with the doctors to provide no-cost eye exams to more than 700 children and prescription eye glasses to 80 students who needed them. Looking for older articles? Go to the News Archives.